3 Answering the Case Against Tomato & Co.
Tomato and other nightshade vegetables are now excluded from macrobiotic diets because of reports that these vegetables can cause arthritis flare-ups. Is there any truth in this recommendation? Tomato is the edible, red fruit obtained from Solanum lycopersicum. While it is commonly referred to as a vegetable in culinary literature, tomato is actually a fruit. Once native to South America, this member of the nightshade family is now grown all over the world. Today, there are over 7500 cultivars or varieties of tomato. Tomato is used extensively as and in foods all over the world. It is included in salads, ketchup, salsa and even cocktail drinks. Because tomato is acidic, it can be easily canned and preserved at home. Tomato is noted for its lycopene content. Lycopene is a carotene and a potent antioxidant. This antioxidant is chiefly responsible for the ability of tomato to protect the skin against ultraviolet radiation. 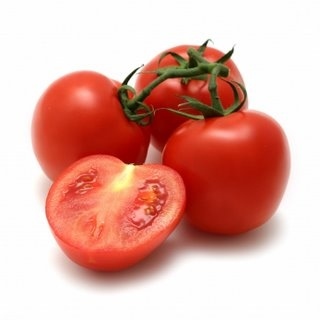 It is also the reason tomato is directly placed on the skin to treat sunburn and skin diseases such as acne. There are other carotenes and antioxidants present in tomato. In addition, tomato also contains the essential mineral, potassium, and other vitamins such as vitamins C and E.
All these antioxidants are responsible for the many proven medicinal benefits of tomato. Tomato consumption has been shown to reduce the risk of certain cancers including breast cancer. It also lowers the risks of developing cardiovascular diseases in people living with type II diabetes. Tomato protects the nervous system and prevents neurodegenerative diseases. Tomato fruit (or vegetable) is largely safe for consumption. Contrary to popular belief, the fruit does not contain tropane alkaloids such as atropine. Rather, these alkaloids are only found in the leaves and stems of the plant. This is why tomato leaf tea preparations can be deadly. Tomatine, which is another poisonous alkaloid, is found in very small amounts in the leaves, stems and green, unripe fruits of tomato plant. However, even this alkaloid is found in an amount that is too small to make consuming these plant parts safe. Tomato is a member of the nightshade or Solanaceae plant family. Other members of this species are tomatillo, tamarillo, eggplant, paprika, cayenne pepper, pimento and potato (but not sweet potato). There is a popular myth that these nightshade vegetables trigger repeated arthritis episodes. Perhaps, the unfortunate association of nightshade vegetables with toxicity is because they are related to the plant, deadly nightshade (Atropa belladonna). Actually, some of the nightshade vegetables produce the same poisonous tropane alkaloids as belladonna. It is worth noting that not all the alkaloids produced by the plants in the Solanaceae family are lethal. In fact, a good number of them are medicinal compounds used in homeopathic and orthodox medicine. Some poisonous alkaloids are potent drugs in small doses. Because of the deadly alkaloids produced by plants in this family, nightshade vegetables have been said to cause a number of diseases including arthritis. Some naturopaths advise patients with arthritis to eliminate these vegetables, especially tomato, from their diets. They even advise healthy people to avoid tomato as much as possible. Answering the Case Against Tomato & Co.
People advocating macrobiotic diets have mostly eliminated tomato and other nightshade vegetables from their list of preferred foods. There are different reasons given for this diet change although most of them do not measure up and there is no scientific proof for any of these claims. First, nightshade vegetables are believed to contain high levels of oxalic acid. The case against tomato and other nightshade vegetables goes further to state that oxalic acid inhibits the absorption of calcium which leads to the weakening of bones and joints. This means that the oxalic acid content of tomato can cause osteoporosis and arthritis. This line of reasoning is in fact untrue. First, tomato and other nightshade vegetables do not contain appreciable amounts of oxalic acid. These vegetables do actually contain alkali which is beneficial because it prevents the body from removing more alkali from the bones to neutralize acids in the blood. Therefore, rather than weakening the bone, these vegetables may actually preserve them. Furthermore, although the oxalates contained in tomato and related vegetables can, in theory, inhibit the absorption of calcium by binding to the mineral while in the intestine, this effect is only observed when calcium intake is low and the amount of oxalates ingested is very high. Therefore, there is only a very low chance that the consumption of tomato will prevent calcium absorption. 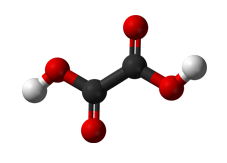 It is clear that tomato fruit does not contain tropane alkaloids such as atropine. However, macrobiotic gurus rather point at solanine, another toxic alkaloid produced by plants of the nightshade family. Solanine is a glycoalkaloid produced by some members of the Solanaceae family as a means to defend themselves against insect attack. And it is also poisonous to humans. However, solanine is only produced by berries in the Solanaceae family and also by green potatoes. Solanine is never produced by tomatoes and not even by green tomatoes. It is also not found in other green vegetables of the nightshade family including eggplants and peppers. According to the data collected, the consumption of tomato and nightshade vegetables only adversely affect 1 – 2% of people suffering from osteoarthritis and rheumatoid arthritis. This group of patients also experience improved symptoms when these vegetables are eliminated from their diet. Since heat only reduces the alkaloid contents of these vegetables by 50 – 60%, naturopaths, who believe tomato is to blame, advise individuals who are sensitive to these alkaloids to totally eliminate the vegetable from their diets. However, the small percentage of arthritis patient affected by nightshade vegetables is grossly inadequate to conclude that tomato and other nightshade vegetables trigger arthritic flare-ups. This is because not one scientific study demonstrates a positive link between tomato and worsening arthritic symptoms. It could be that the few arthritis patients, who experienced worsening symptoms on consuming tomatoes and then improved when tomato was withdrawn, were only showing rare allergy-like reactions to the alkaloids in this vegetable. This may also be a form of food intolerance or maybe these patients are psychologically primed to believe the tomato-arthritis link. Since there is a lack of evidence for this link, scientists and nutritional experts believe tomato consumption does not cause arthritis. In fact, no food has been proven to trigger any form of arthritis except gout (purine-rich foods do cause gout because purine is converted to uric acid in the body). It is even quite possible that tomato may contribute to improving arthritis symptoms. Tomato is a powerhouse of antioxidants that can help remove the toxins and other free radicals which can damage the synovial membrane. These antioxidants can also help regulate and reduce inflammation. For arthritis patient still convinced that tomato may worsen their symptoms, the elimination diet can help them determine if this is true. To start this experiment, first eliminate all sources of tomato from your diet. 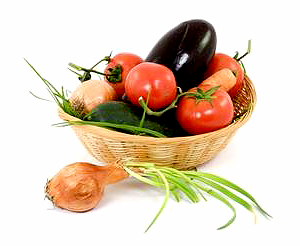 These sources include the raw vegetable, foods prepared with it such as salads as well as tomato sauce and ketchup. Live on this elimination diet for 4 – 8 weeks before reintroducing tomato. If your arthritis pain and inflammation worsen when you add tomato back to your diet, then you should adopt a tomato-free macrobiotic diet.